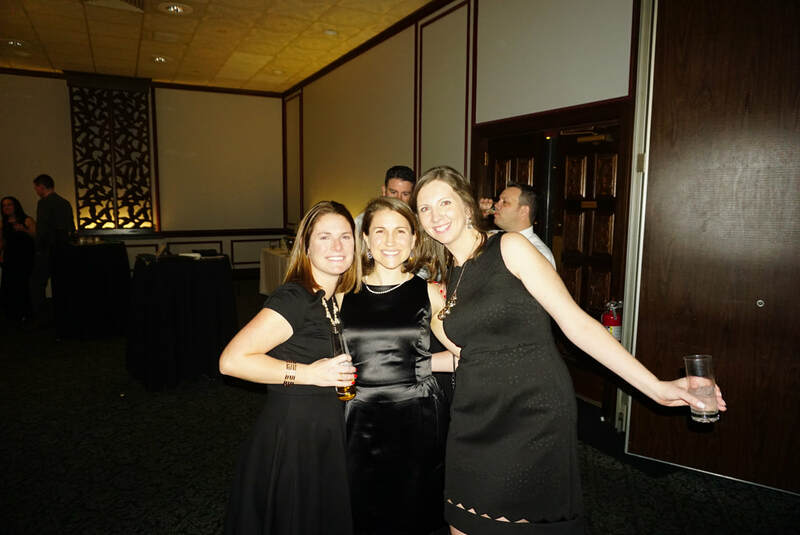 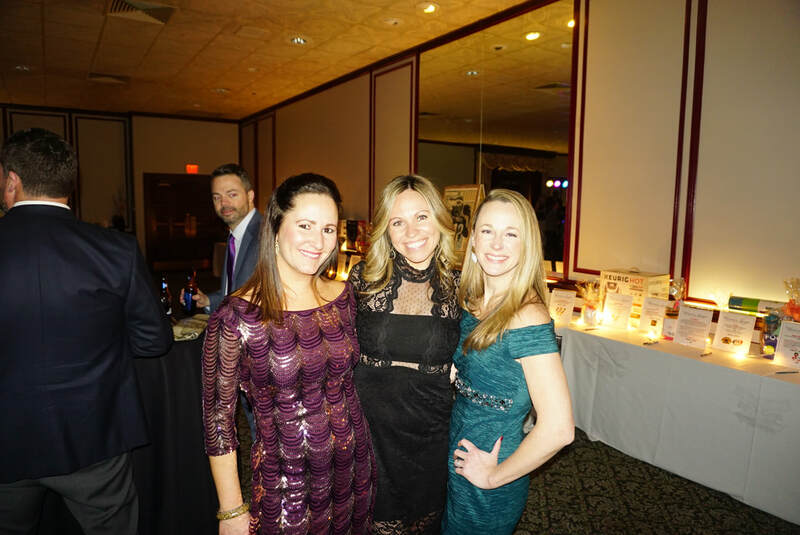 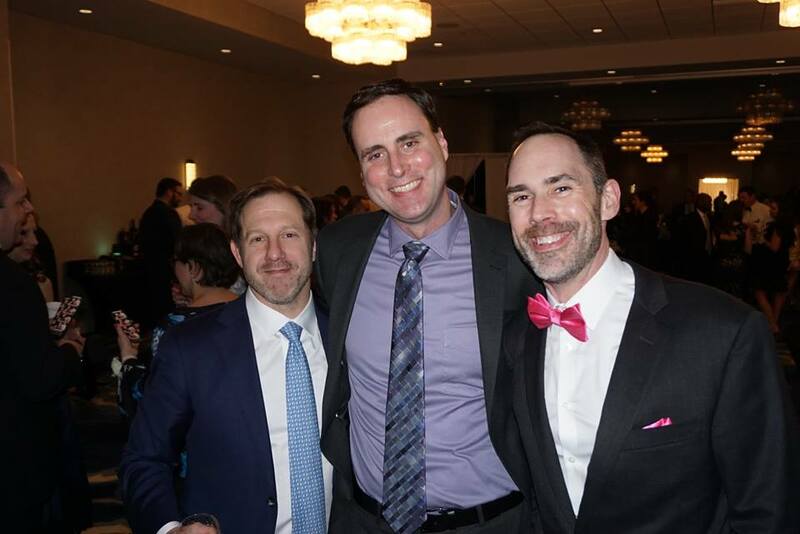 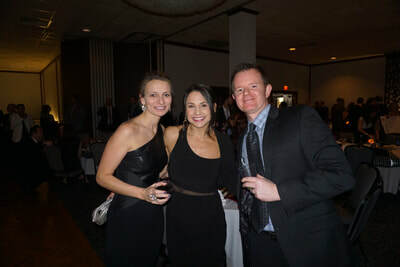 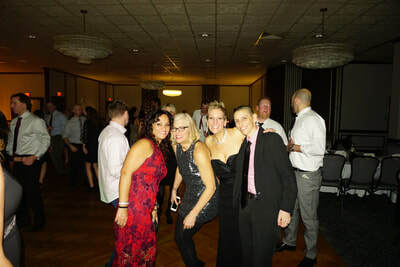 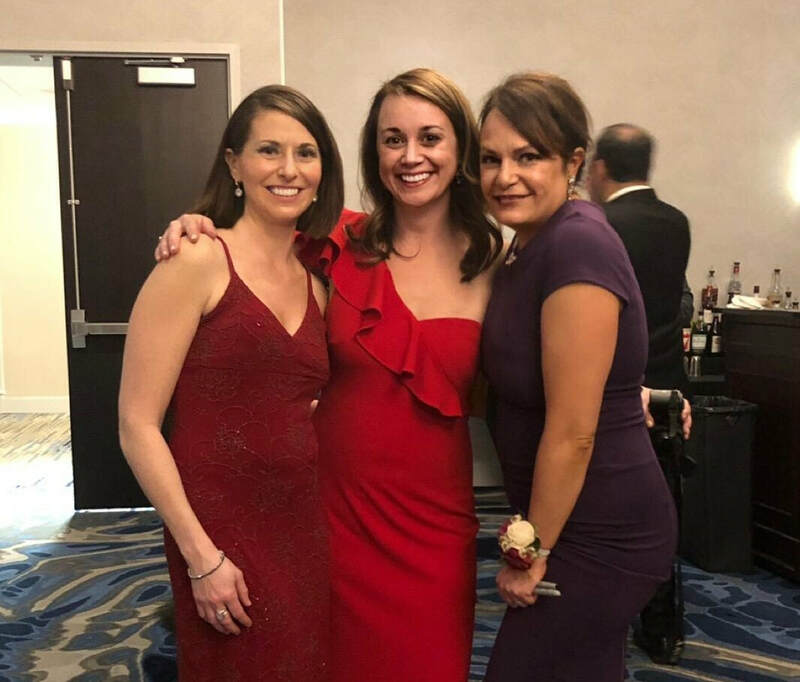 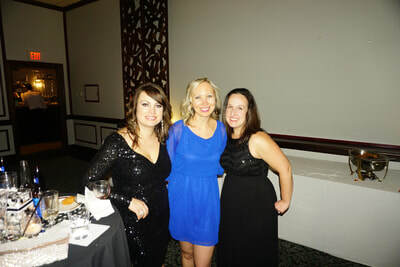 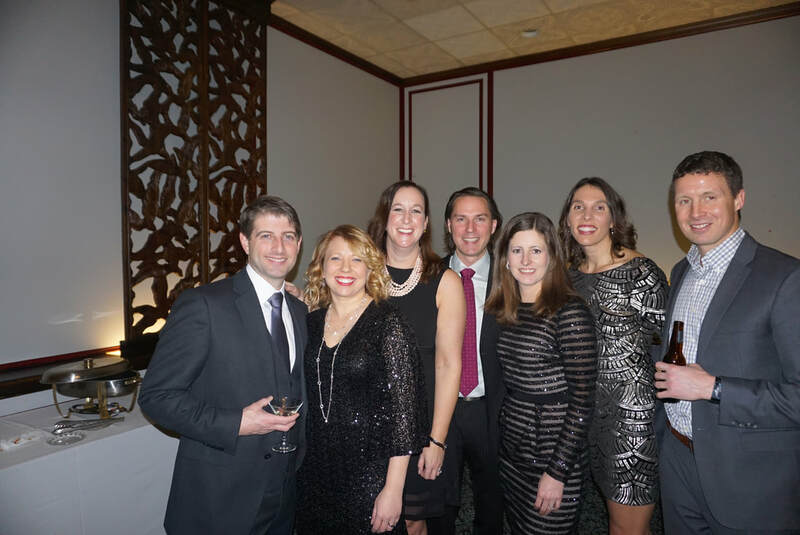 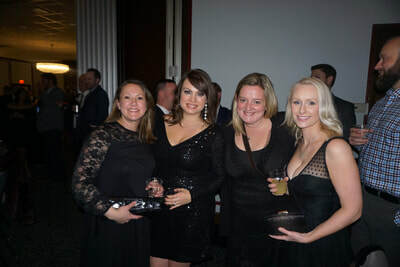 ​The Women’s League of Reading took their guests “Back to Prom” on Saturday January 26th when they hosted their annual Winter Gala and Silent Auction at the Crowne Plaza in Woburn. This event has been a tradition in the Reading community for decades and enables the Women’s League to raise money for charities, scholarships, and social needs in the Reading area. 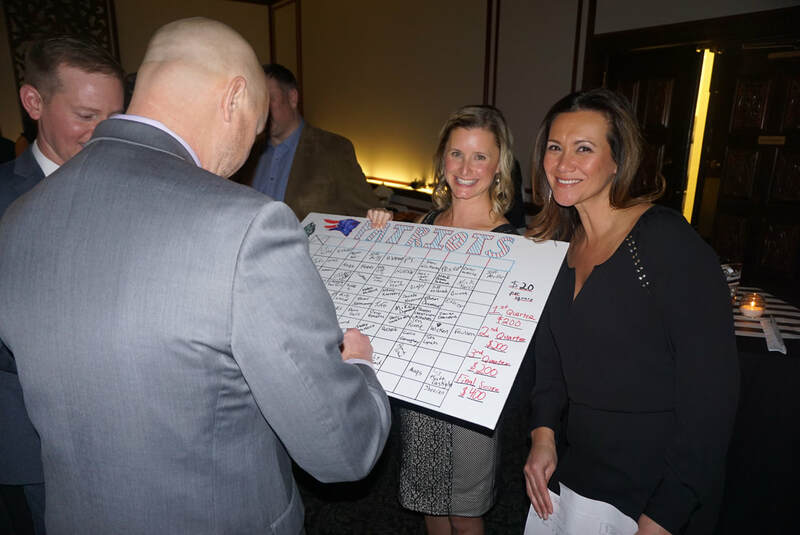 With the help of their corporate sponsors and generous donations from businesses in the community the league raised over $17,000 to disburse to local organizations. 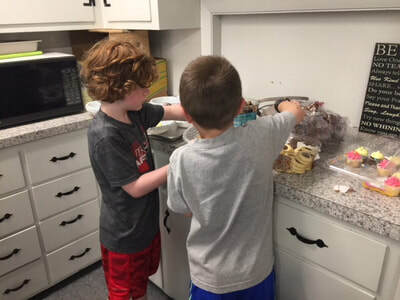 Past recipients include elder services, school PTOs, the police and fire department, college scholarships, the Reading Food Pantry, and Understanding Disabilities. 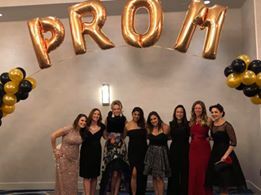 Over 200 guests attended the Gala, many of whom embraced the Prom theme and came dressed up in their favorite prom looks from years gone by. 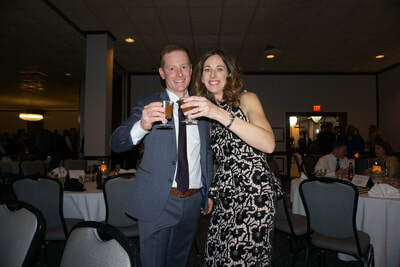 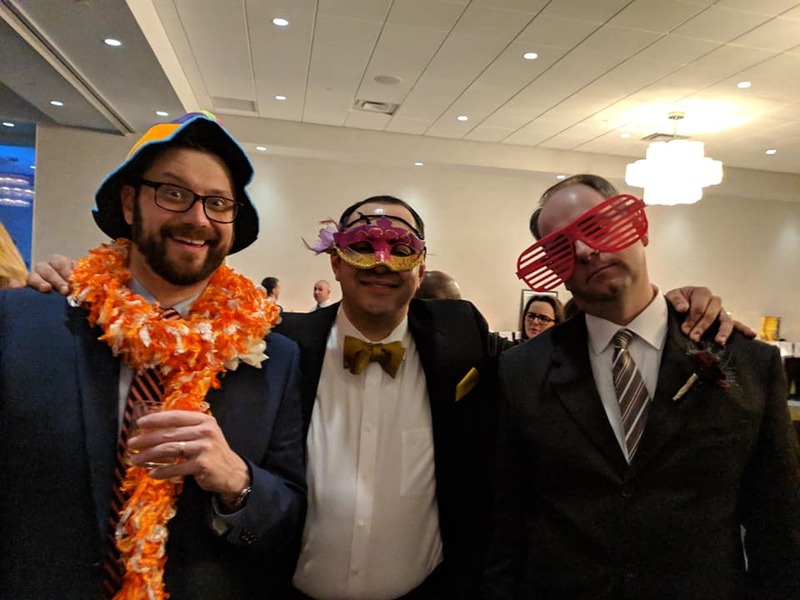 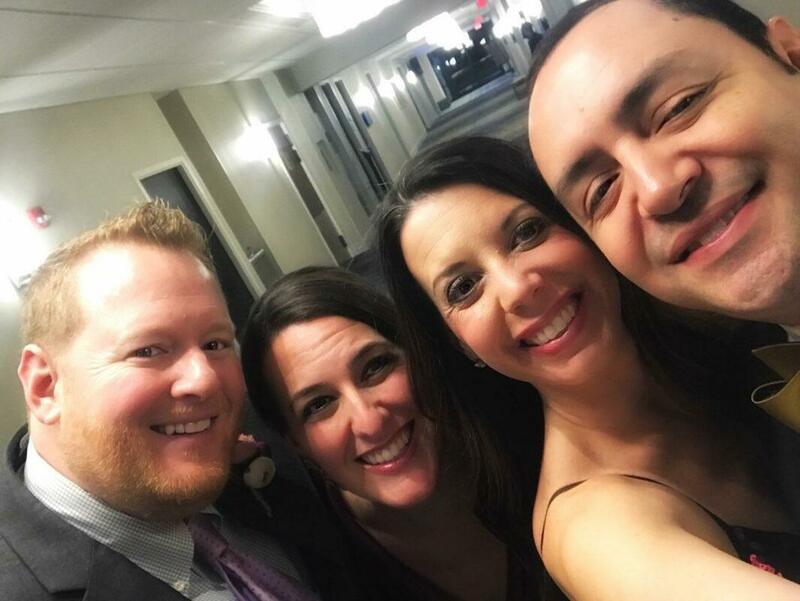 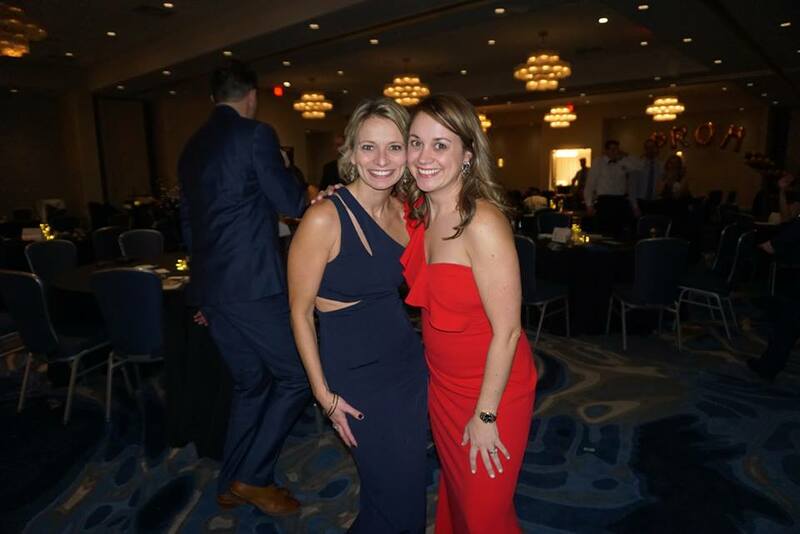 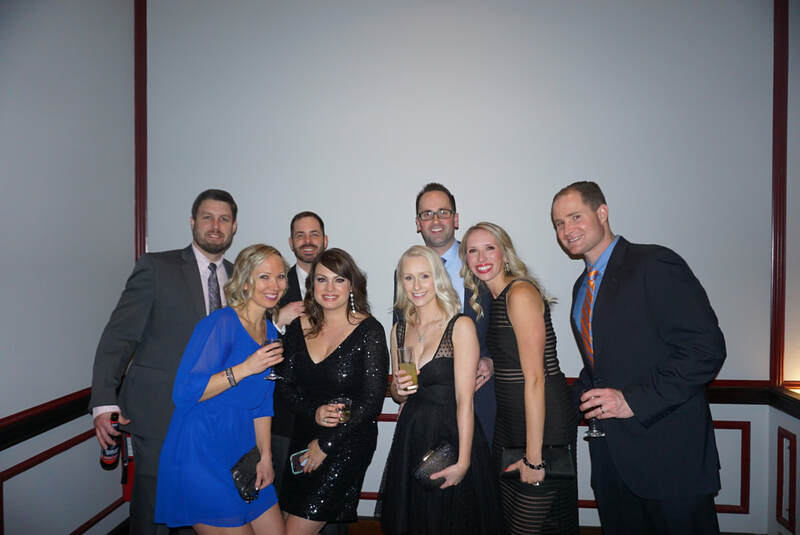 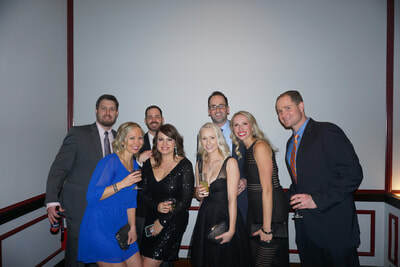 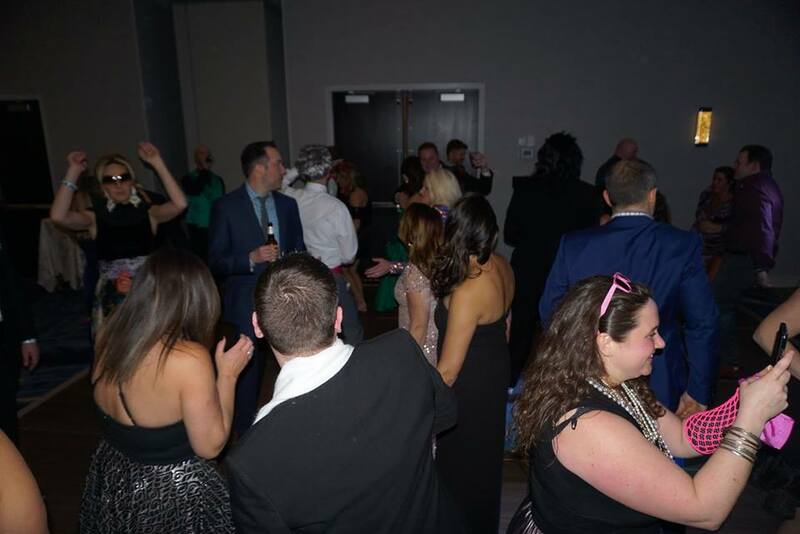 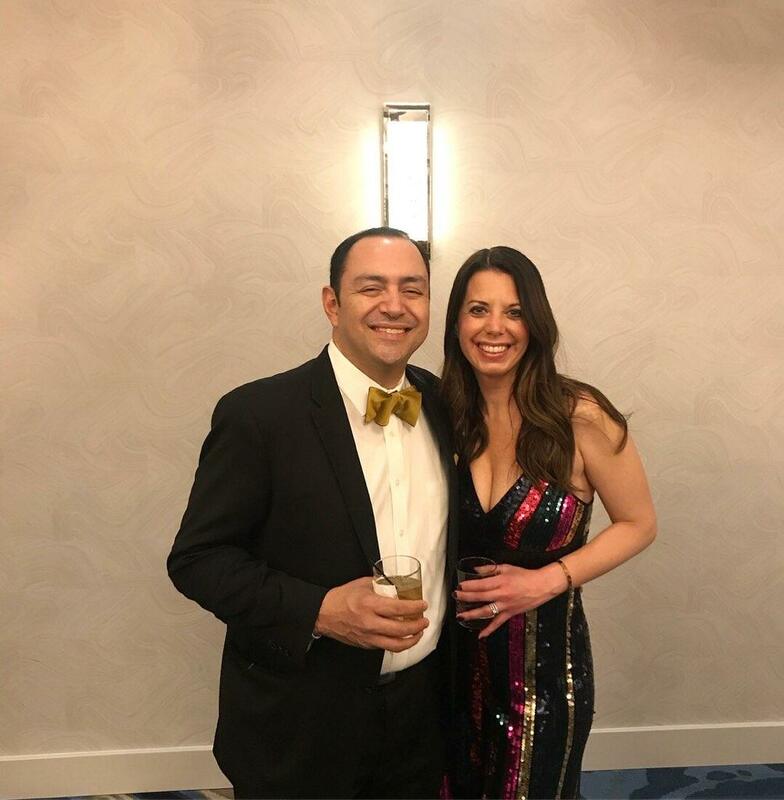 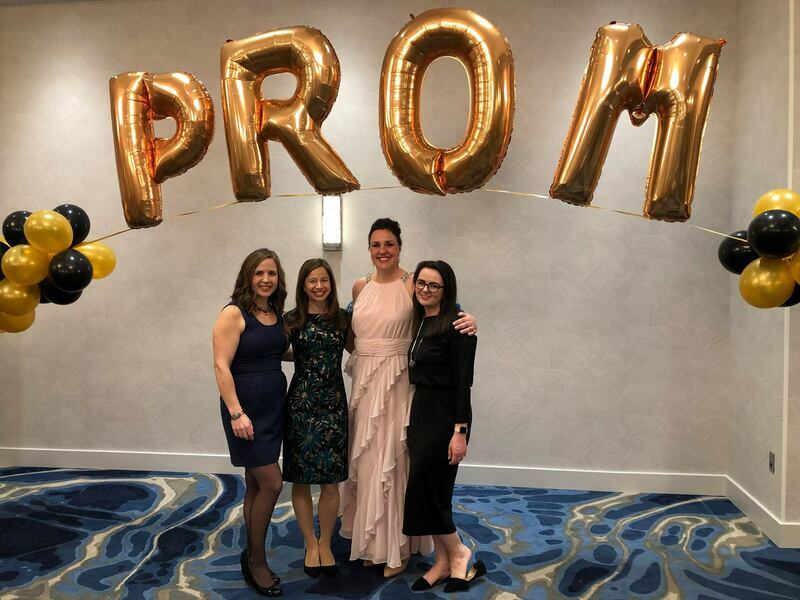 The newly renovated Crowne Plaza was the perfect back drop for a fun-filled night that included a buffet dinner, photobooth with prom themed props, DJ and dancing, balloon arch, and an impressive Silent Auction. 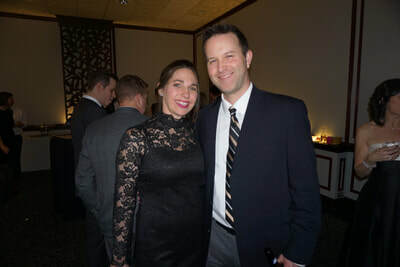 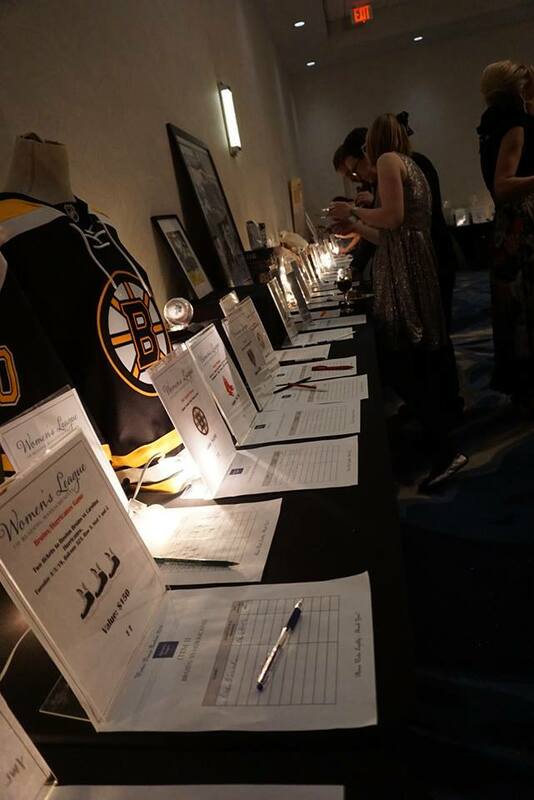 Some of the more popular auction items included a Stowe Mountain Lodge Getaway, a ride to school in a police car, a State House Tour, an on-set experience at This Old House, and a signed Tuukka Rask Jersey. 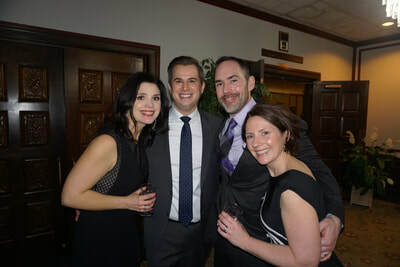 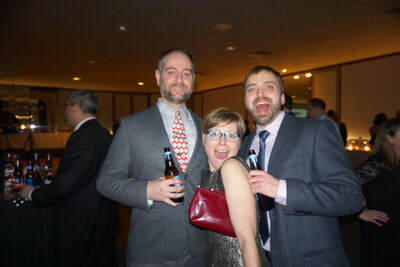 Having fun and being charitable were the order of the evening. 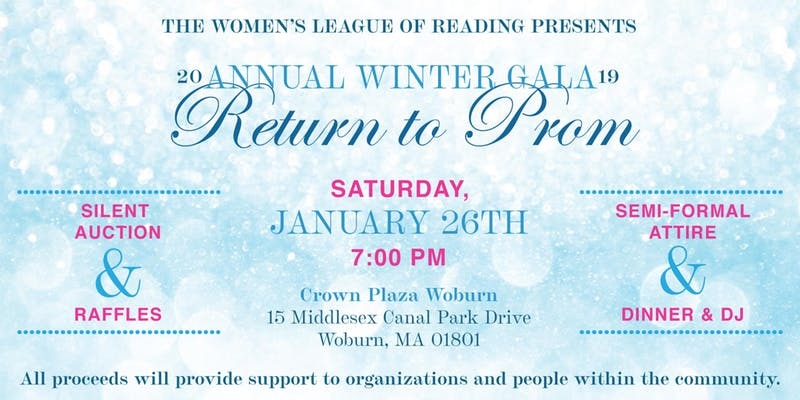 Grab a corsage and join the Women’s League of Reading at the 2019 Annual Winter Gala. 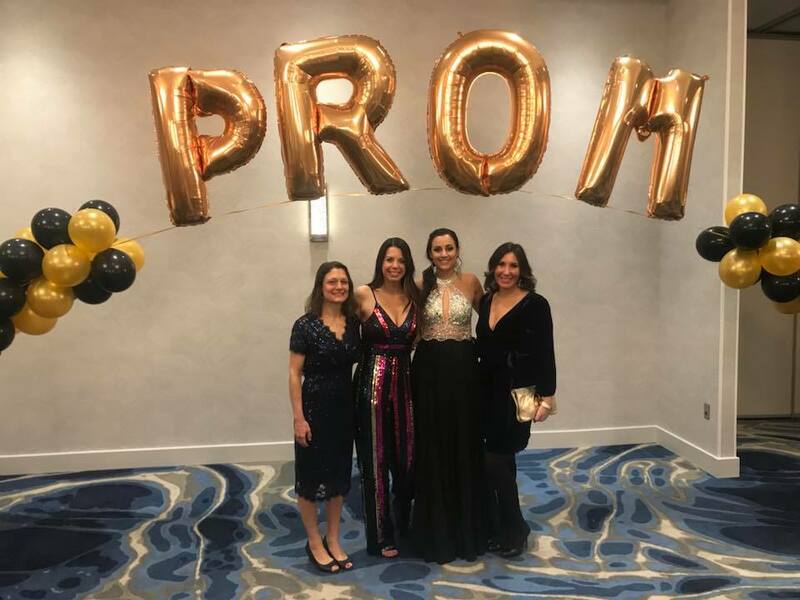 This year's theme is "Return to Prom"! 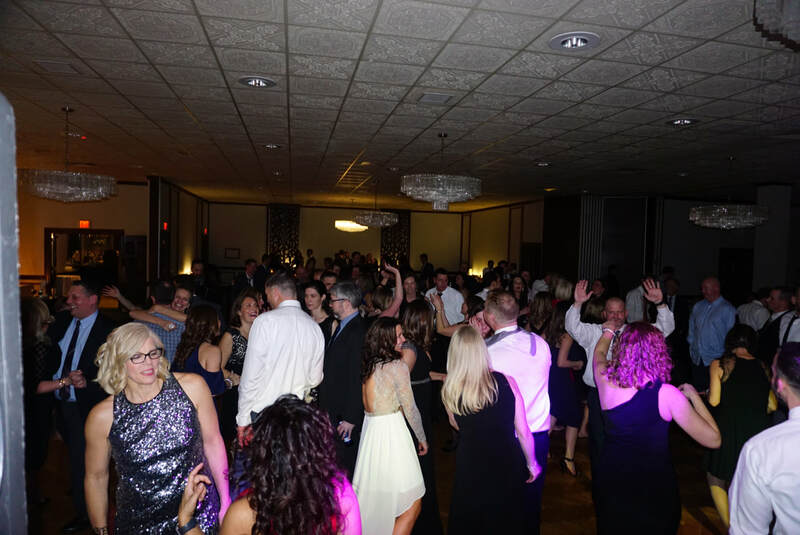 Tickets: $75 per person or $145 per couple. 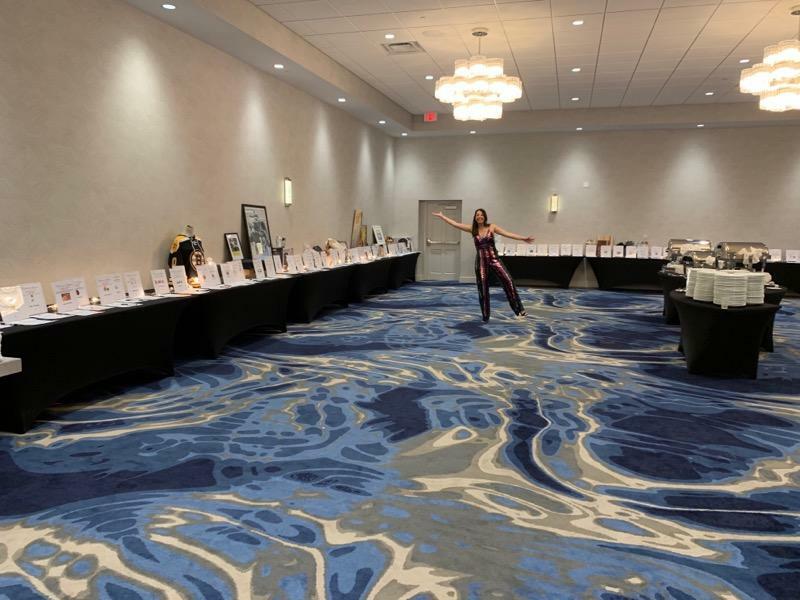 Tables of 10 also available. 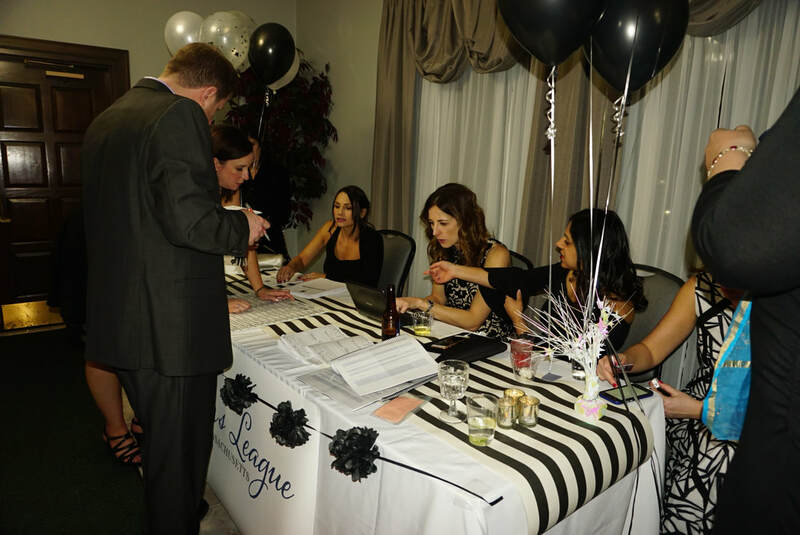 Tickets can be purchased via the Eventbrite link or by check through a Women's League member. Room blocks are available at the Crown Plaza Woburn for $99. 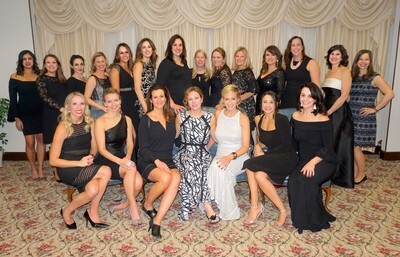 Reference the Women’s League of Reading. 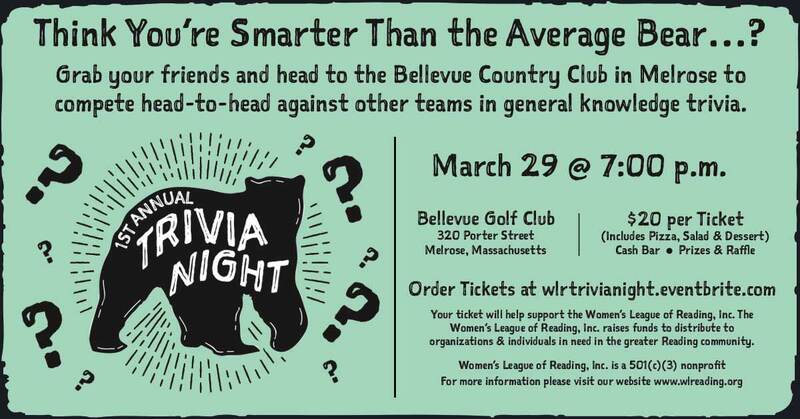 Your ticket will help support the Women’s League of Reading, Inc. 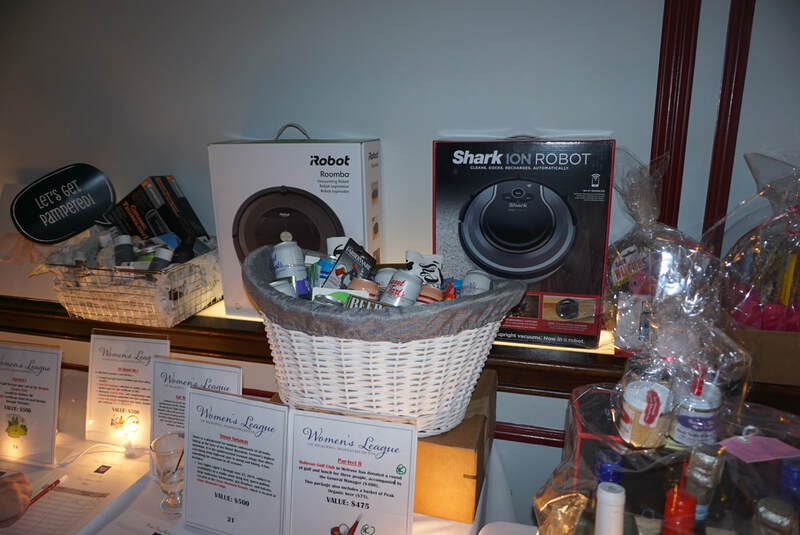 The Women’s League of Reading, Inc. raises funds to distribute to organizations & individuals in need in the greater Reading community. 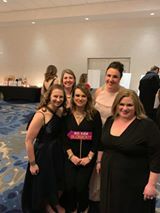 Women’s League of Reading, Inc. is a 501(c)(3) nonprofit. 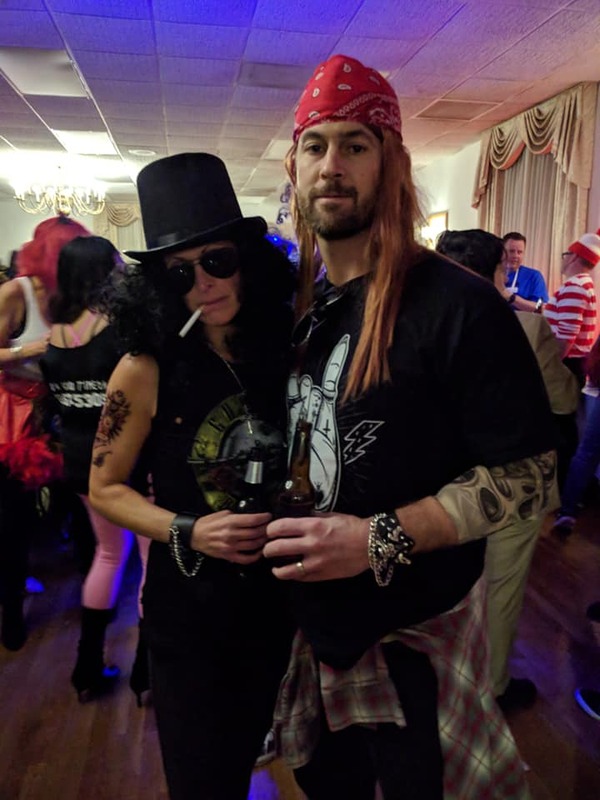 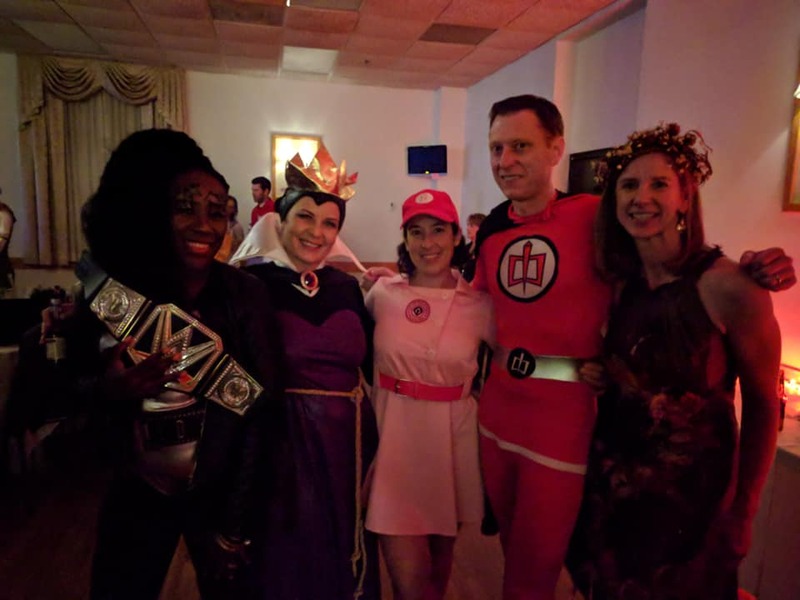 The Women’s League of Reading held their 4th annual Halloween Spooktacular at the Wakefield Lodge of Elks on Friday October 26th. The event proceeds netted over $4.6K to benefit Connor’s Canine Fund and will be used towards to purchasing a Seizure Response dog for a Reading student with refractory epilepsy. 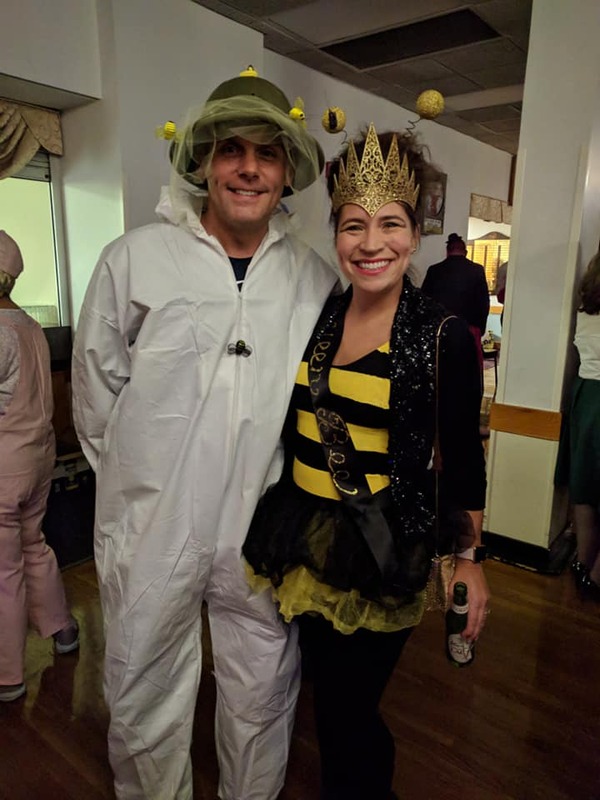 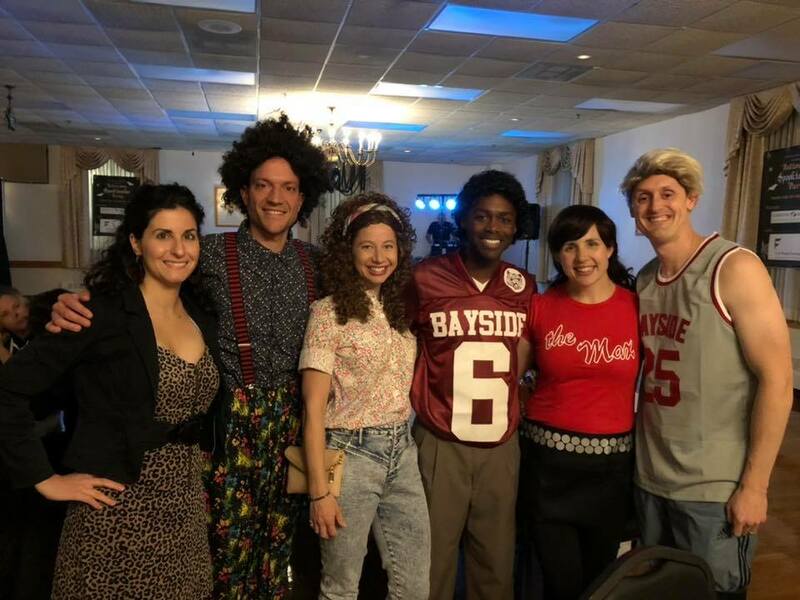 “We’re so pleased that so many Reading residents, over 230, came together to have a good time and support great cause,” said Erin Sinclair, Women’s League president. Additional event sponsorship was provided by Condon Sullivan Wealth Management & Planning and C.E. Floyd Company. 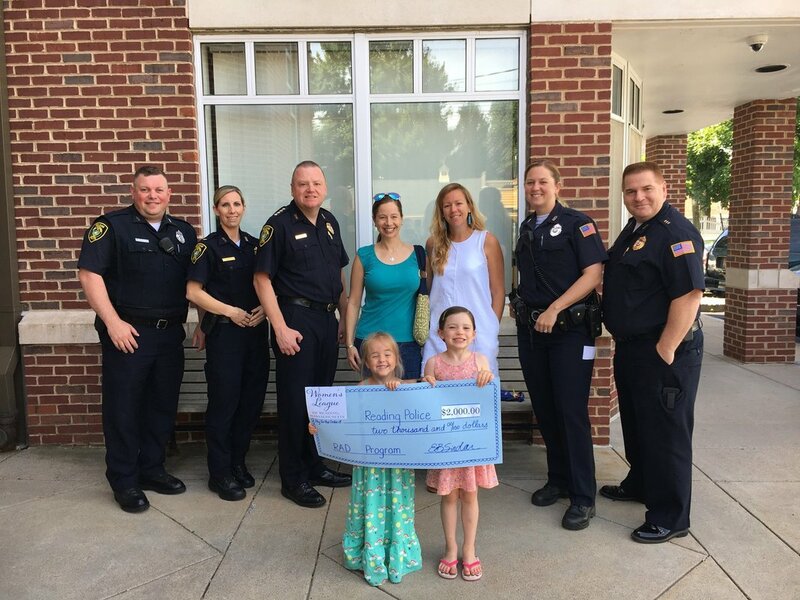 Both companies are run by Reading residents and went the extra mile to support Connor’s Canine. 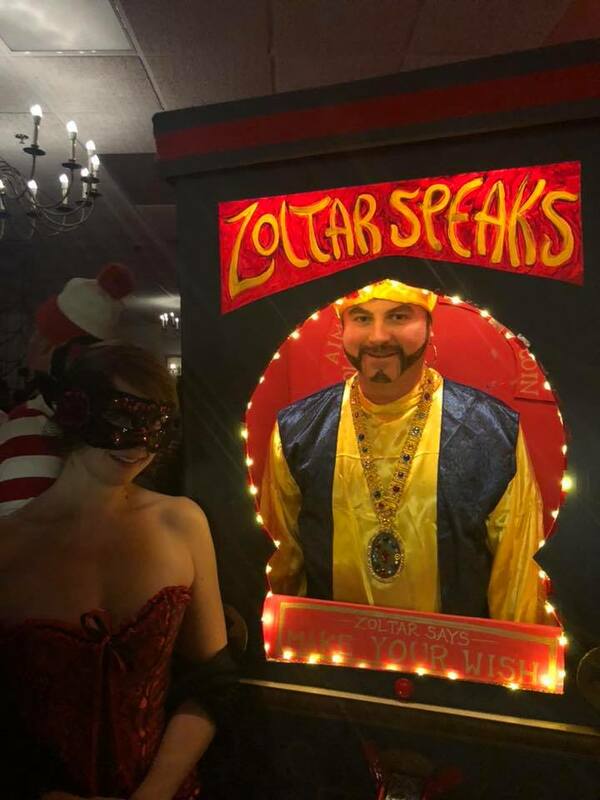 All the costumes were unique and creative but three costume contest winners emerged: Zoltar the Great mesmerized for best individual, G.L.O.W. 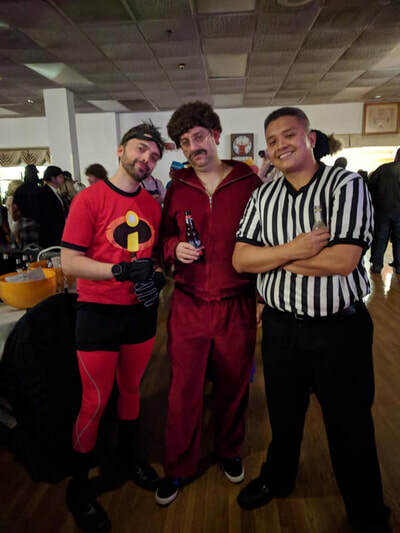 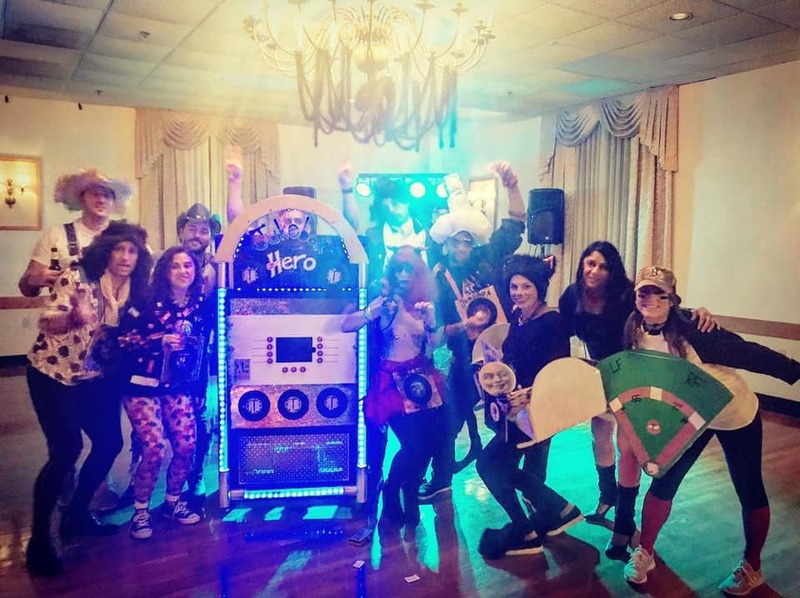 wrestlers pinned down best couple, and Juke Box Hero topped the charts for best group costume. Connor is an 8 year old boy with refractory (uncontrolled, drug resistant) epilepsy. He is also Jack and Sean’s little brother, a Thomas the Tank Engine fan and an aspiring soccer player. 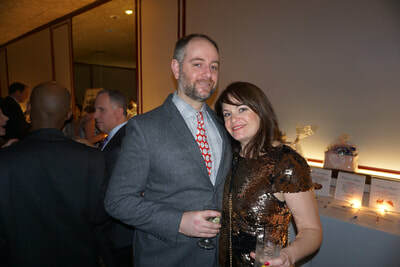 Unfortunately, despite taking a host of medications, Connor’s tonic clonic (grand mal) seizures are still very frequent. 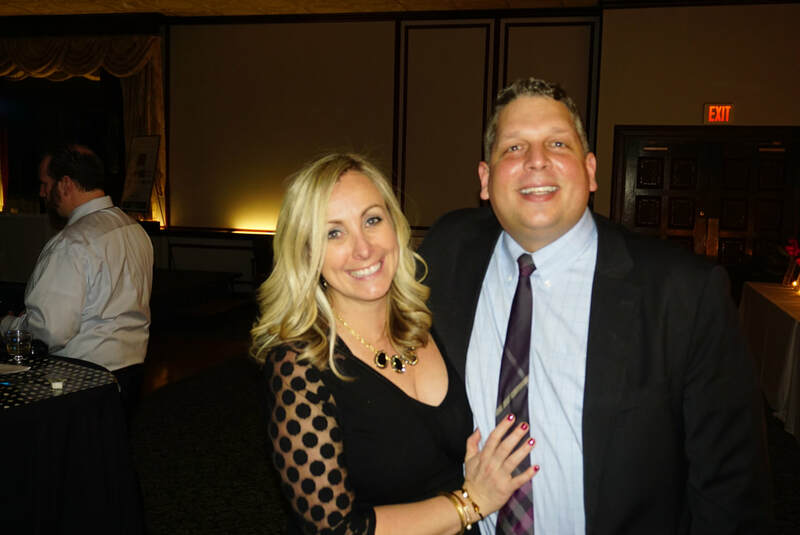 His seizures can also occur at any time of day or night. Connor is at an increased risk for SUDEP because of his uncontrolled epilepsy. 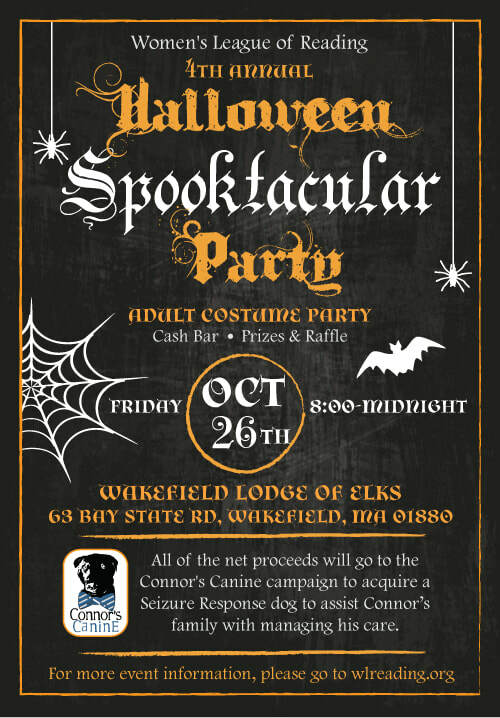 A Seizure Response dog will assist Connor’s family with managing his care. 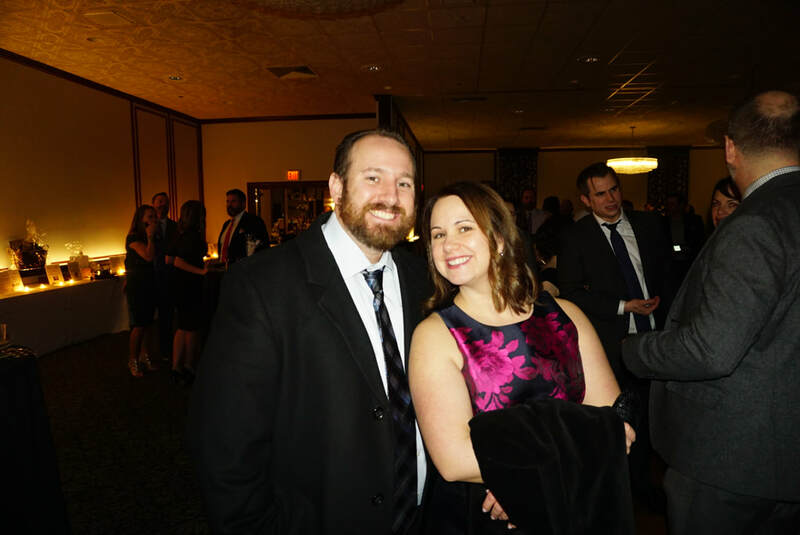 To make a direct donation, please visit the Connor's Canine GoFundMe Page. 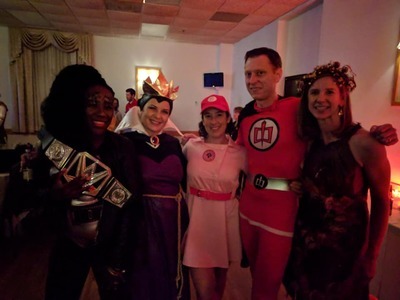 The Women's League 4th Annual Halloween Spooktacular is coming soon so grab your costume, mask or broom! 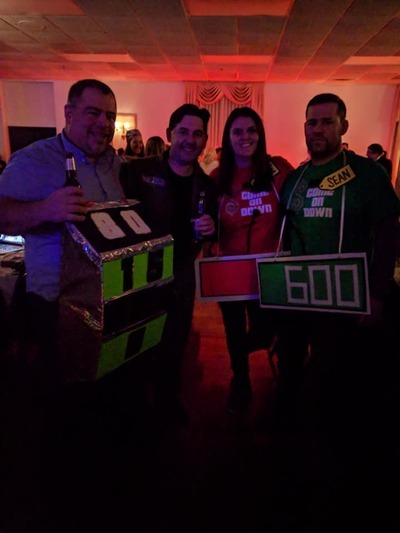 There will be a cash bar, raffle, food and prizes for best costume. 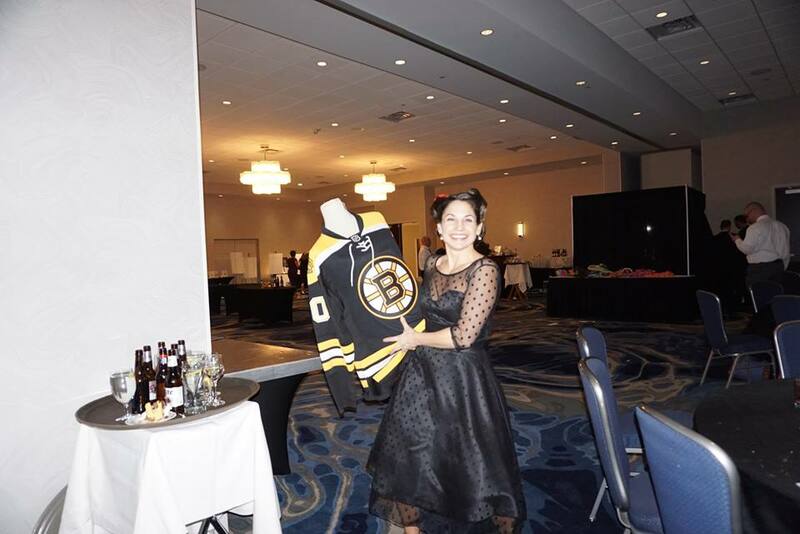 All of the net proceeds will go to the Connor's Canine campaign to acquire a Seizure Response dog to assist Connor’s family with managing his care. A huge thank you to our Platinum sponsor, Condon and Sullivan Wealth Management & Planning, and our Gold sponsor, C.E. 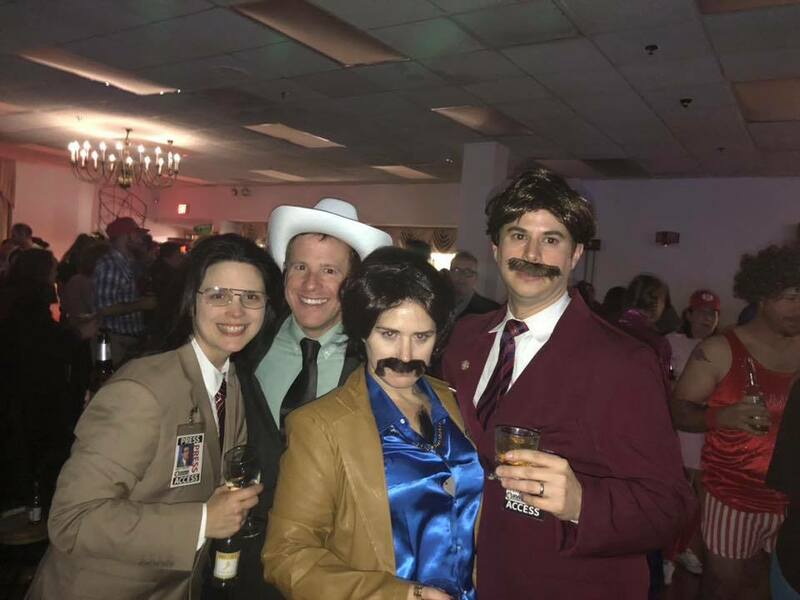 Floyd Company. 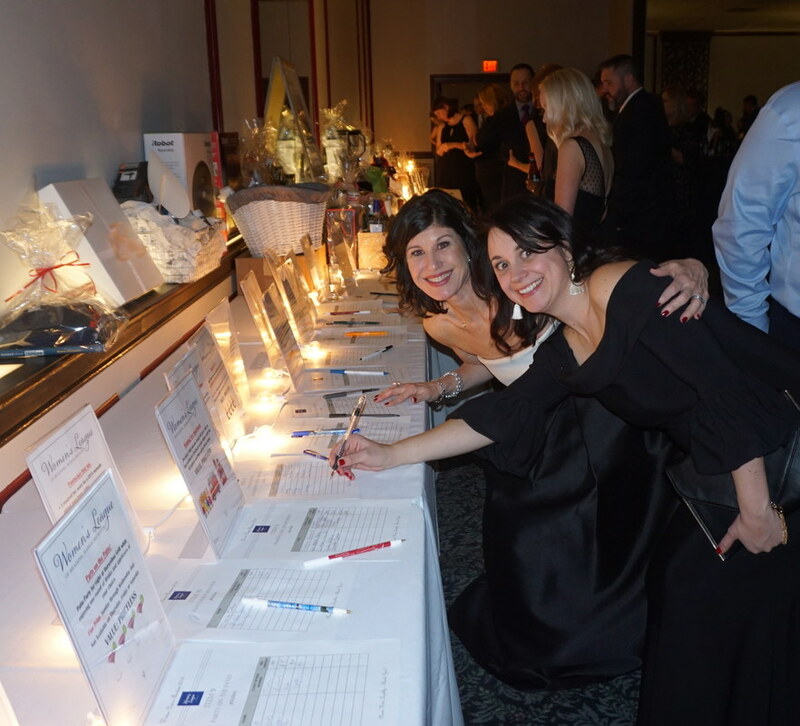 In 2018, The Women's League of Reading (WLR) hit a record fundraising goal of over $28K to support a diverse range of organizations including educational programs, public services, and local families in need. 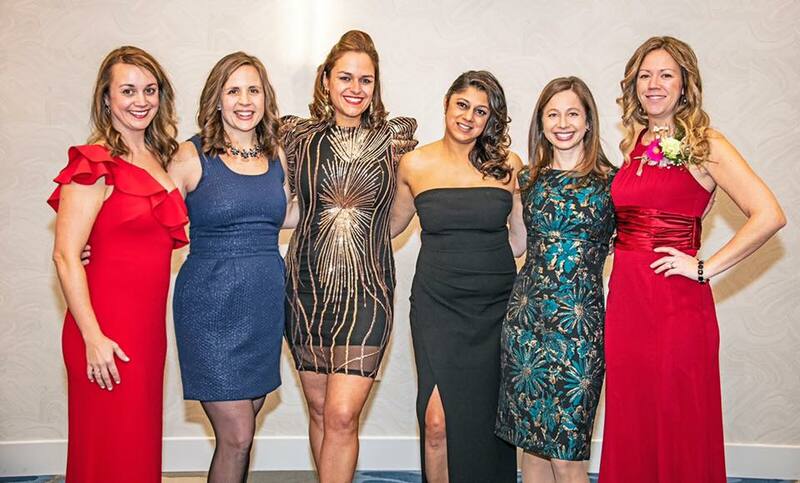 Over 30 recipients received contributions from the Women’s League in 2018, including RMHS scholarships, holiday meals at Sandborn Place, the Robotics team, Reading Coalition against Substance Abuse, and YMCA camp scholarships. 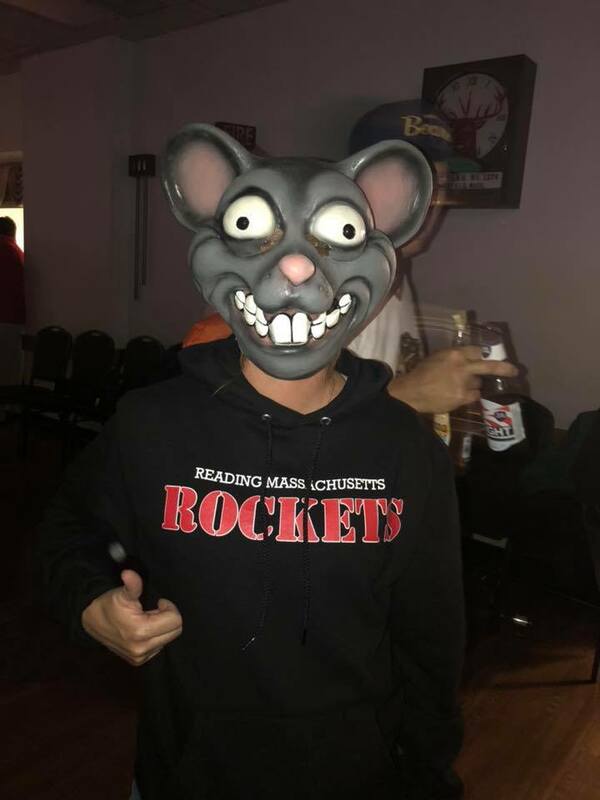 Annual commitments were also made to the Reading Police Department to fund the R.A.D. 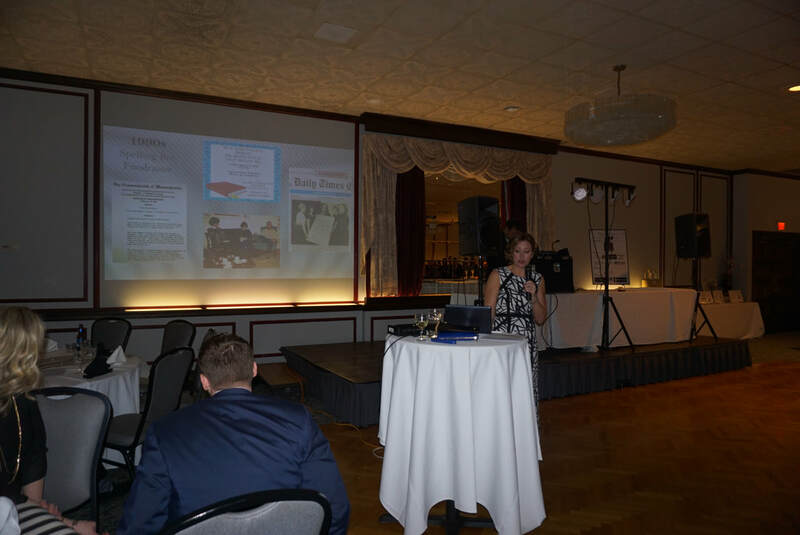 self-defense training, the Reading Fire Department, Elder Services, library museum passes, and many more. 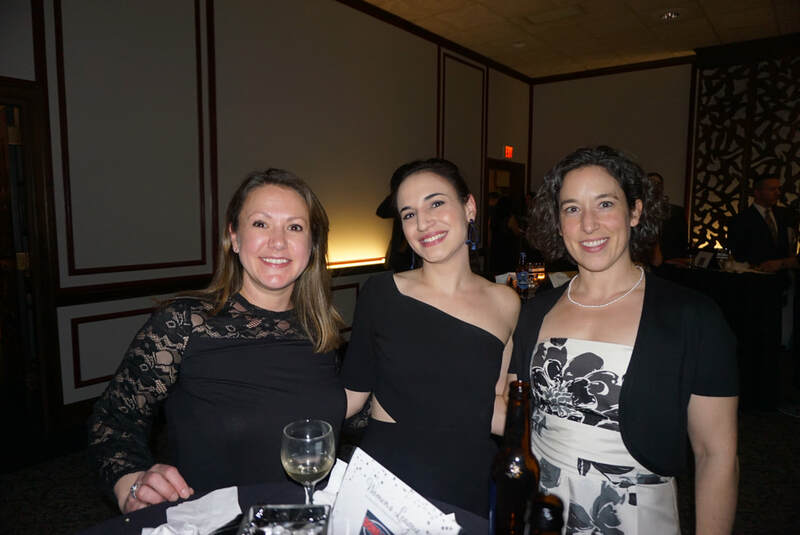 A highlight this year was partnering with Understanding Disabilities to present an inspirational community event with Mandy Harvey, a deaf singer/songwriter. 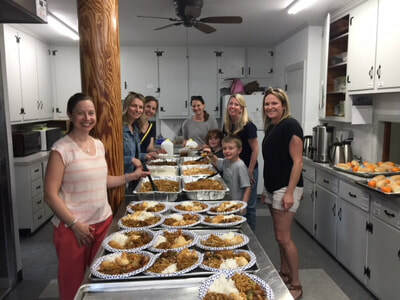 Members of the Women's League of Reading, MA were busy at work on Saturday night, serving dinner to guests at the Dwelling Place Soup Kitchen in Woburn, MA. They had a few little helpers too! 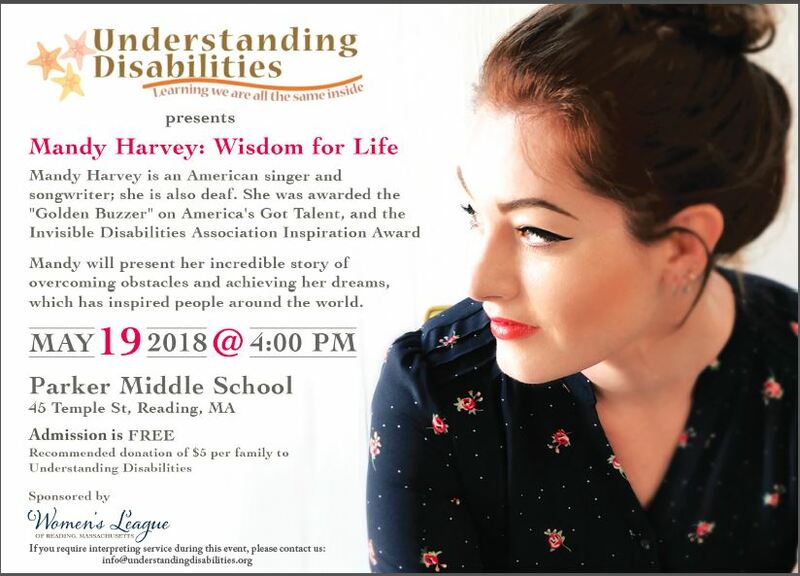 On May 19th, the Women's League of Reading, MA is excited to sponsor an inspirational event with Mandy Harvey, presented by Understanding Disabilities, Inc.
​Mandy Harvey is an American singer and songwriter; she is also deaf. 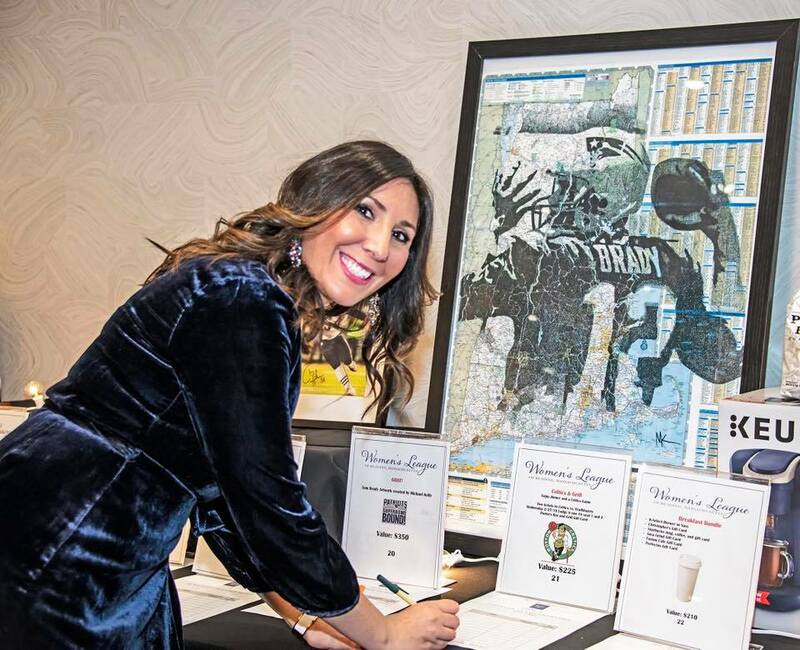 She was awarded the "Golden Buzzer" on America's Got Talent in 2017 and received the Invisible Disabilities Association Inspiration Award. 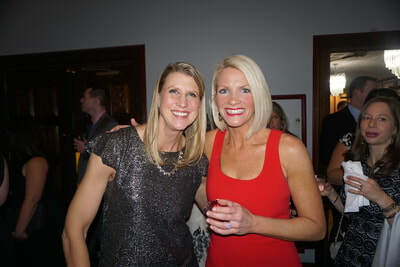 Mandy will present her incredible story of overcoming obstacles and achieving her dreams, which has inspired people around the world. 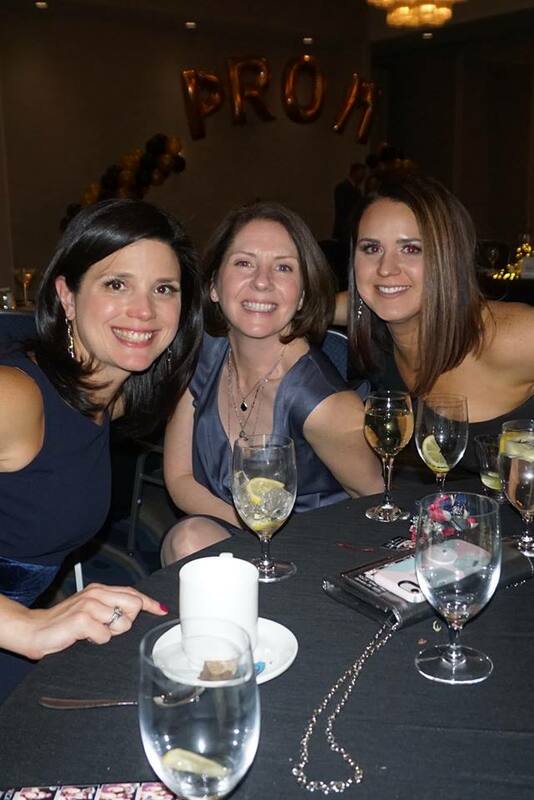 Save the Date: May 19th at 4pm at Parker Middle School. 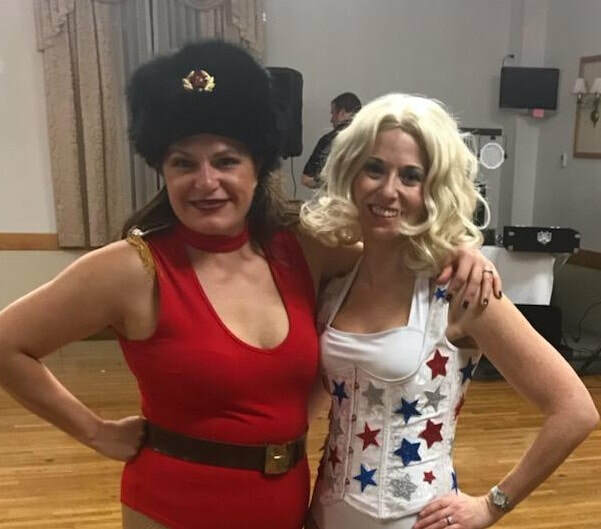 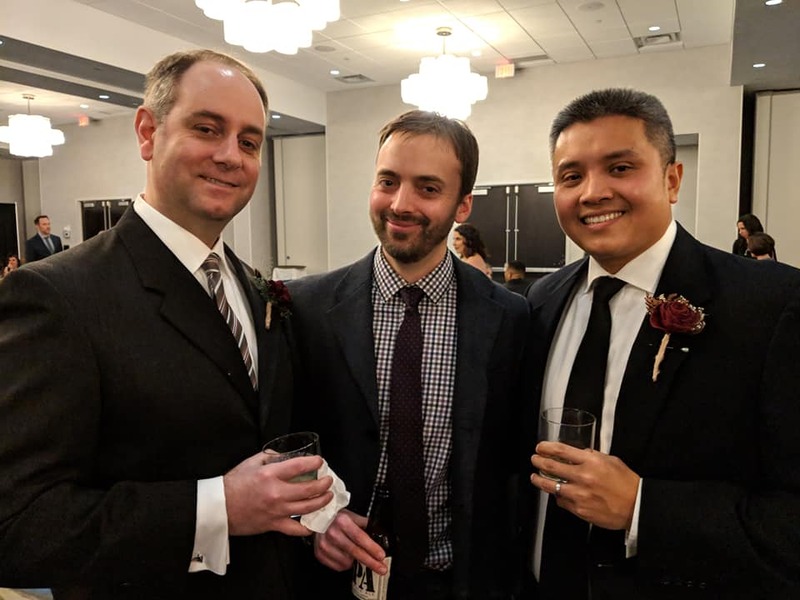 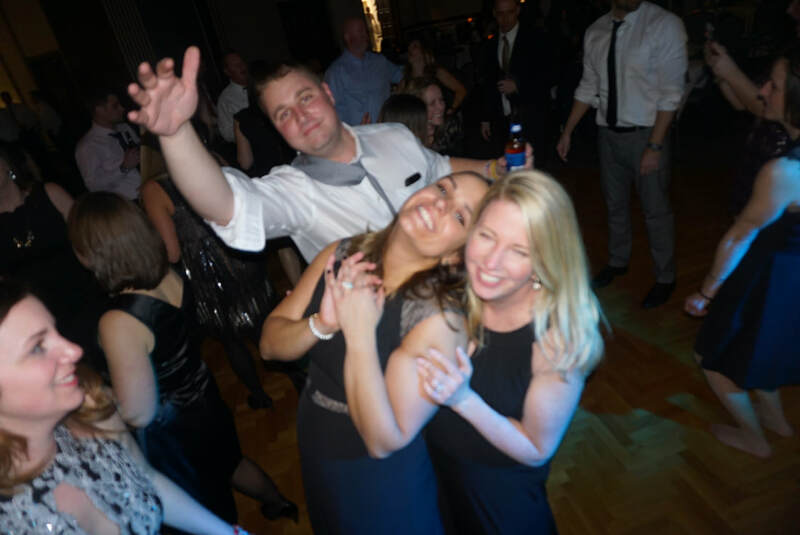 ​On Saturday February 3rd, the Women’s League of Reading, MA hosted their annual Winter Dance Fundraiser - a tradition dating back over 50 years. 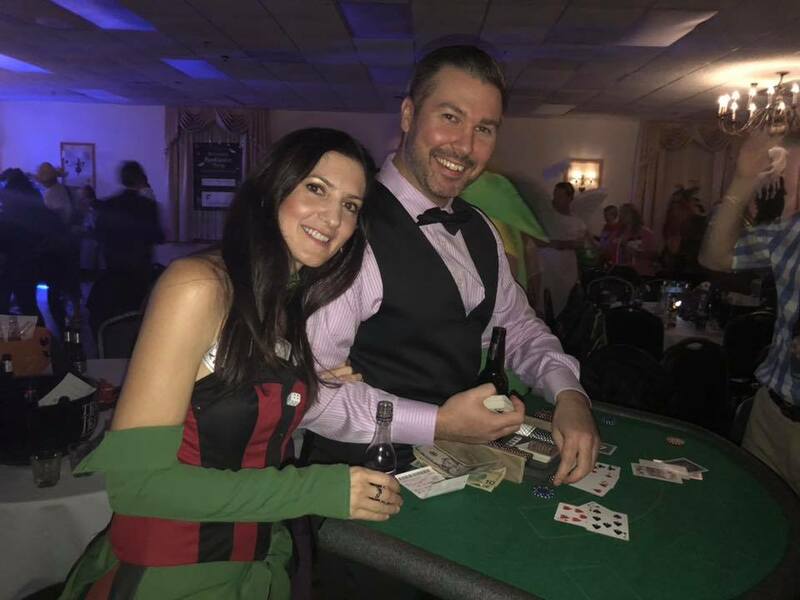 230 local residents attended the event at the Crest View Plaza in Woburn to raise money for charities, scholarships, and social needs in the Reading area. 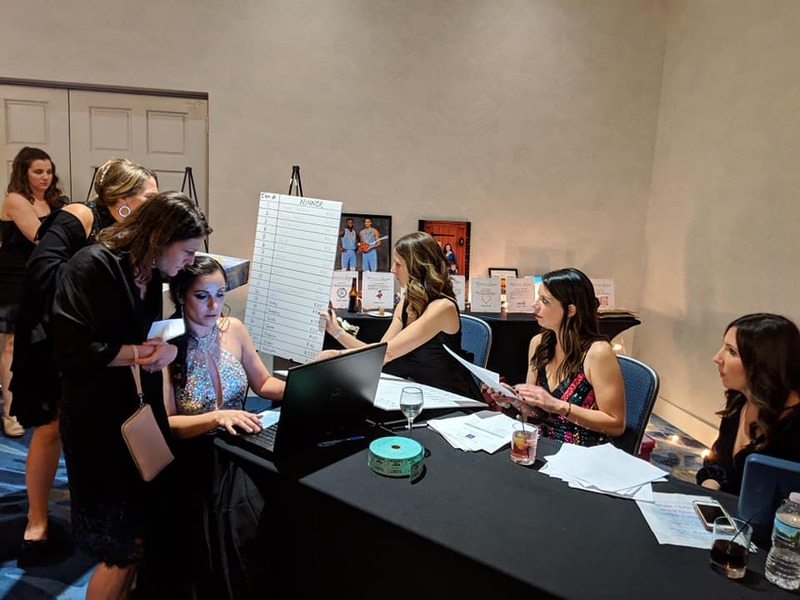 This is the Women’s League’s largest fundraising event of the year, netting over $20K in one night from corporate sponsors, tickets, raffles, and silent auction items. 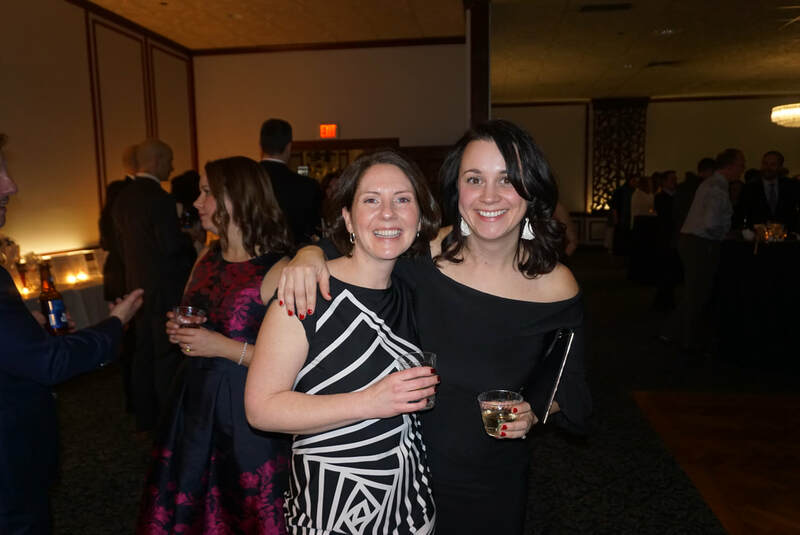 The Women's League has been able to grow their annual fundraising significantly over the past few years which results in disbursements to over 30 local organizations including elder services, school PTOs, college scholarships, Reading Food Pantry, and Understanding Disabilities. Women's League President, Erin Sinclair, shared the history and evolution of the organization that began in 1950. "Fundraising methods have changed with the times - Cookbooks in the 50s, Fashion Shows in the 80s- but the mission to support the Reading community has remained the same." Special thanks were given to the evening’s Platinum sponsor, Done Right Services (Billerica, MA), as well as the generous local area businesses that continue to support this event every year. ​Among the hottest items in the silent auction: a necklace donated by Simm's Jewelers, custom Tom Brady artwork by local resident Michael Kelly, a photo session with Katherine Henry photography and Tada Makeup, a private ride to school in a police cruiser donated by the Reading Police Department, a day on the set of This Old House, and many more valuable items and gift cards from our charitable community. 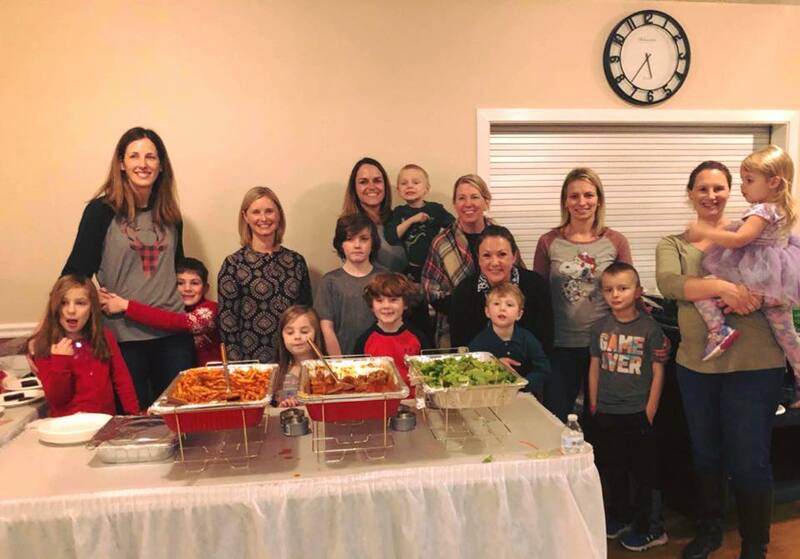 Members of the Women's League and their families enjoyed serving Thanksgiving and Christmas dinner to senior residents at the Sandborn Place.